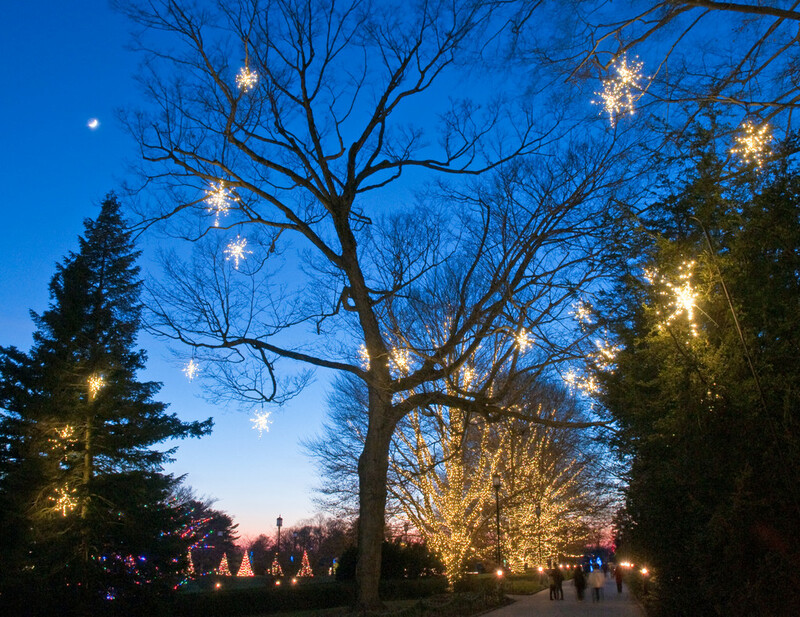 A Longwood Gardens Christmas: A tree with stars at dusk. This and all photos Copyright © 2009-2013 Longwood Gardens. All Rights Reserved. 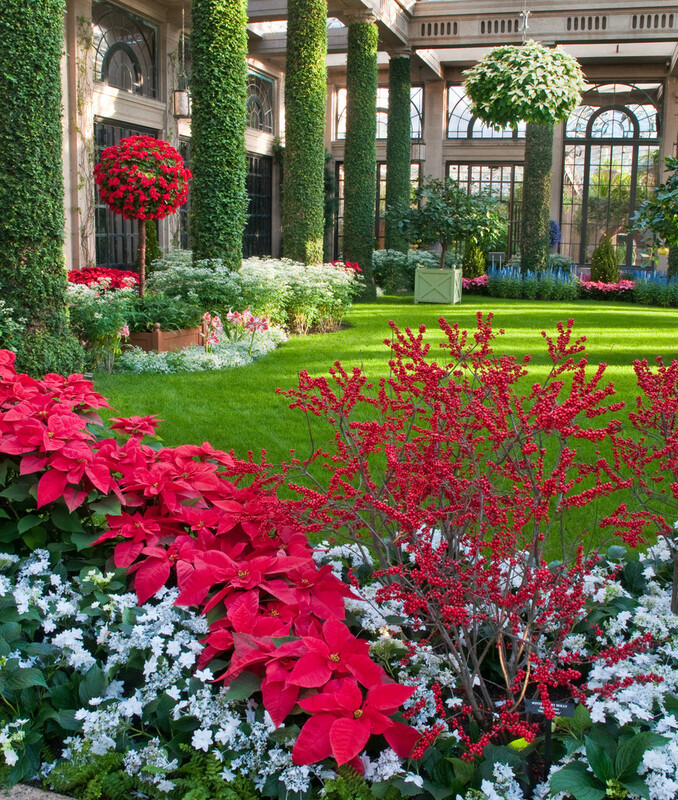 Editor-at-Large Therese Ciesinski offers at virtual tour of stunning Longwood Gardens during the holiday season. 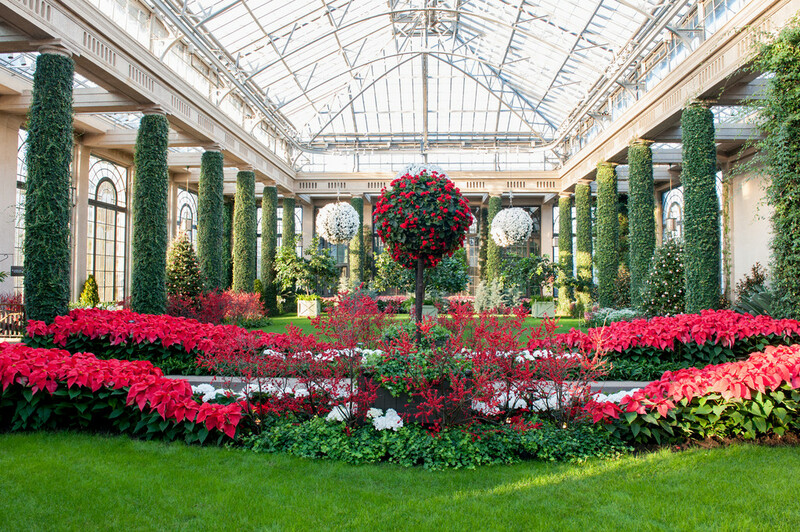 Longwood Gardens, in Kennett Square, Pennsylvania, once the private estate of Pierre S. DuPont, is amazing at any time of year, but never more so than at Christmas. Most winter gardens are studies in brown, gray, and white, but Longwood is at it’s most glorious, jaw-dropping colorful. 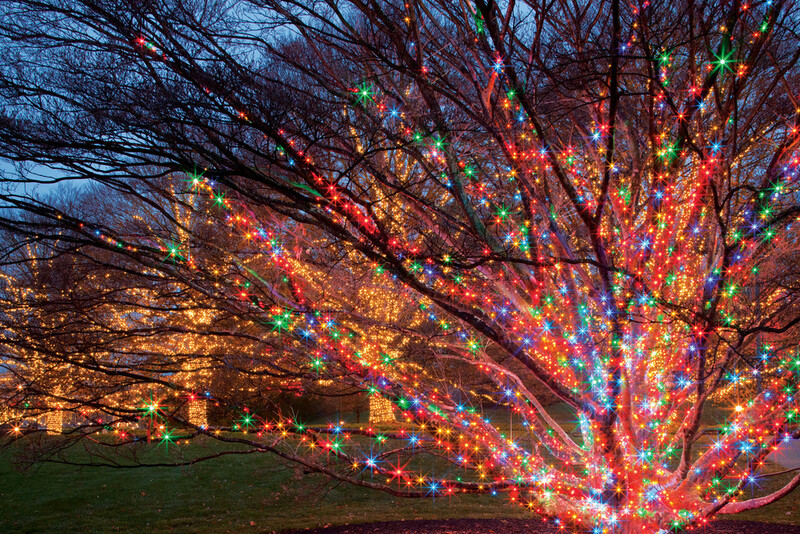 A Christmas visit should be on every gardener’s bucket list. These photos are only a sample of all there is to see at Longwood’s Christmas display. It is on view until January 12, 2014. Admission is charged; timed tickets are required. See Longwoodgardens.org. Winterberry, poinsettias and lacecap hydrangeas complement each other brilliantly. The Longwood staff winds lights around anything that doesn’t move; over 500,000 LED lights in all. They flip the switch every day at 3:30 p.m. Go at dusk. Indoors is where the passionate gardener really gets his or her fix. The 4-acre conservatory includes the Orangery. Most of Longwood’s plants are grown on the property. 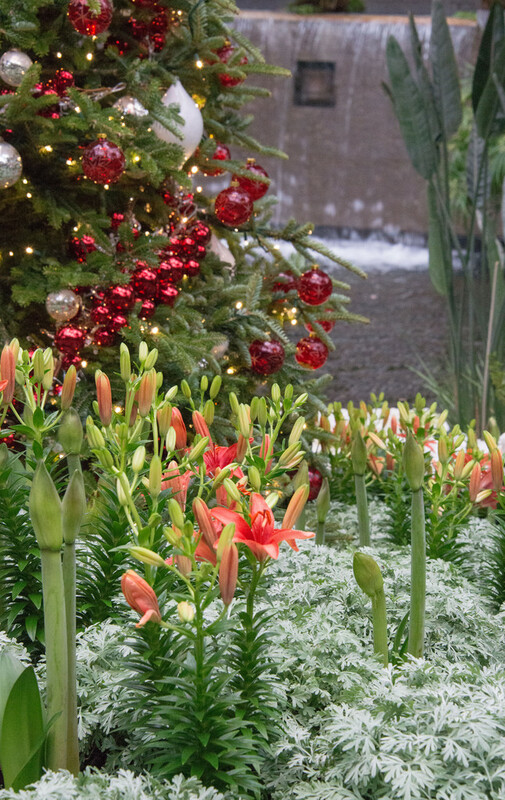 The conservatories burst with flowering plants, including Asiatic lilies, begonias, amaryllis, and cyclamens. 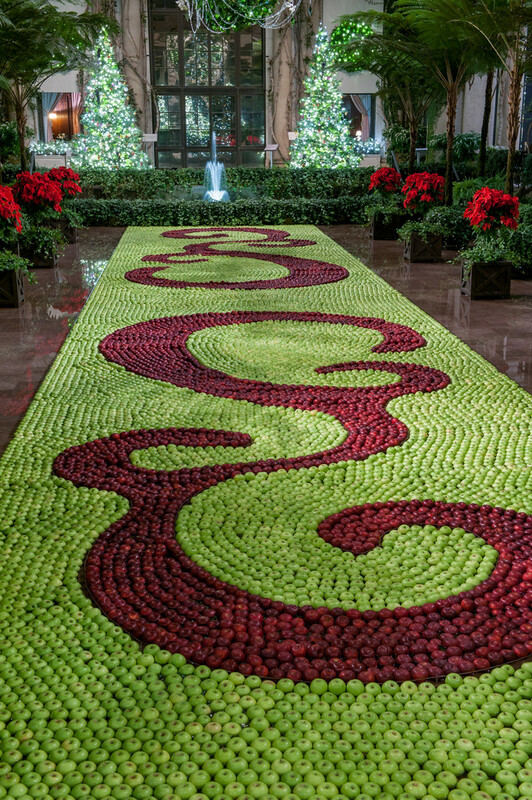 A floating “tapestry” of Granny Smith and Rome apples in the conservatory. The holiday theme this year is fruit, and includes a Christmas tree festooned with 175 blown-glass pears, and outdoors, a citrus and berry tree to feed the birds. 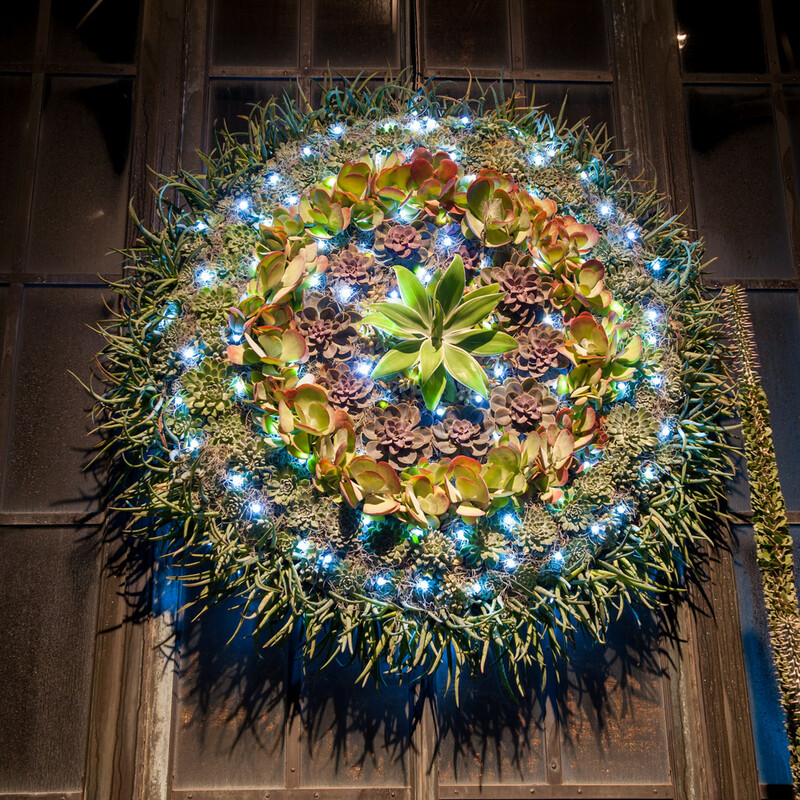 One of a number of living wreaths, this one fashioned out of succulents. 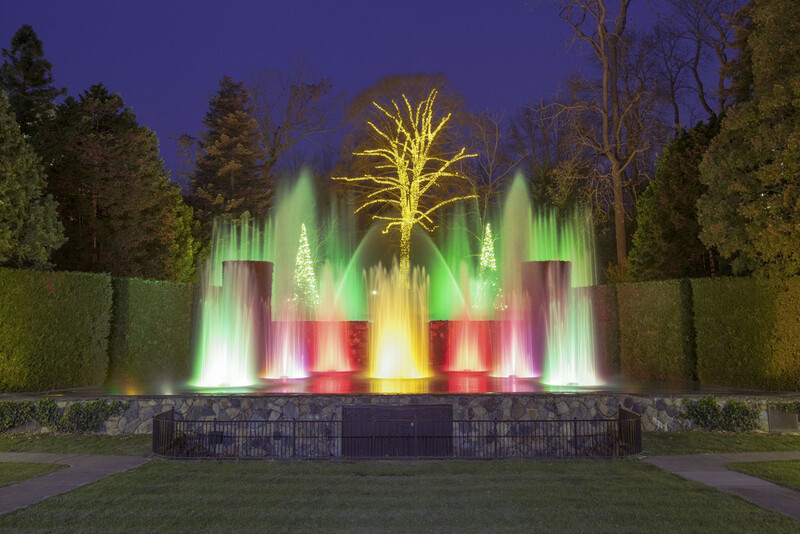 Longwood is famous for its’ dancing waters – large fountains with jets that change patterns and colors in time to holiday music. A weeping willow draped in red lights above the reflecting pool. 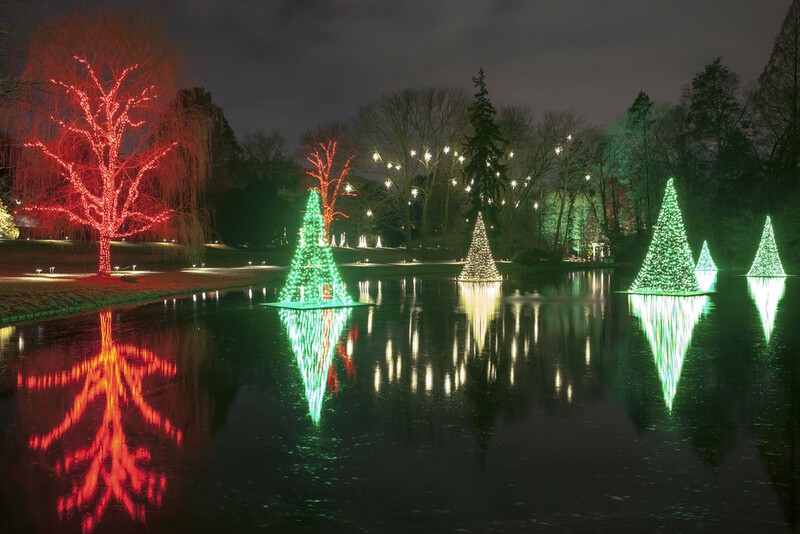 This entry was posted in Uncategorized, winter garden, winter gardening and tagged Christmas, Dupont Estate, garden, holiday, Kennett Square, Longwood Gardens, Pennsylvania, Pierre S. DuPont, Public Gardens, winter garden. Bookmark the permalink.